First, talk through the type of holiday outing that your senior loved one can both enjoy and feel comfortable participating in. 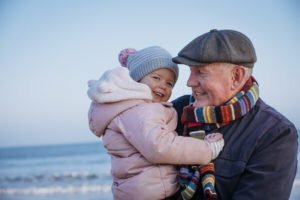 Depending on his or her needs and ability level, you could decide on simply going for a leisurely family drive to enjoy viewing holiday light displays, get together in a family member’s home to decorate the house, enjoy a holiday performance at the local high school, or even travel to a destination on the senior’s bucket list. Once you’ve come up with the perfect idea, you’ll want to plan a few key elements that will make the outing go more smoothly. Think about how much walking will be involved and whether or not there is parking in close proximity, whether the destination contains any hills or stairs to climb, and if wheelchair access is available, if needed. Also, consider the amount of cover at the destination from the elements, so you’re prepared whatever the weather and that the senior will be comfortable. Once you’ve considered these basic factors, it’s a good idea to prepare for a wide variety of possibilities. Make a checklist to make sure you bring along all the necessities: medications needed, plus an extended supply, in case the outing takes an unexpected turn or lasts longer than anticipated; plenty of drinks and snacks; appropriate clothing, as well as sun, rain, or snow protection. It’s also helpful to bring along a supportive chair, if one will not be available at your destination, and to know in advance where the closest toilet facilities are located. Whatever activities you participate in this holiday season with your senior loved one, take time to create a relaxed environment so that he or she will be comfortable and happy. And during your visit and outing, it’s a good opportunity to keep an eye out for any red flags that could indicate a need for care. For more holiday ideas for seniors to enjoy an outing, or to learn more about our Tri Valley home care services, contact California’s top senior home care provider, Hired Hands Homecare, at (866) 940-4343.